A source told The Hollywood Reporter that it was due to China’s crackdown on Winnie the Pooh images on social media. The images have been used to criticise Chinese leader Xi Jinping after the ruling Communist Party announced it wanted to eliminate presidential term limits. The Hundred Acre Wood will not be going to China. Disney’s new live-action take on the Winnie the Pooh characters, “Christopher Robin,” will not be released in the Middle Kingdom. According to The Hollywood Reporter, which cites an anonymous source, China denied the film’s release because Winnie the Pooh had become a symbol of resistance against the country’s ruling Communist Party and its leader, Xi Jinping. Earlier this year, the party announced that it wanted to eliminate presidential term limits for Jinping. 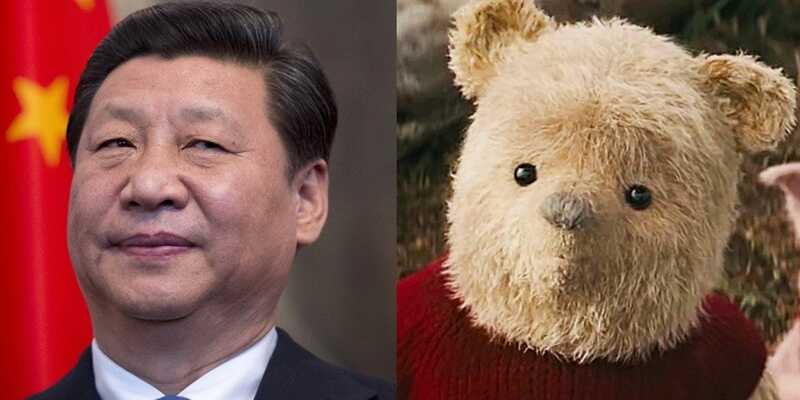 This did not go over well with many Chinese citizens, who posted Winnie the Pooh memes on social media to compare the fictional bear to Jinping. It’s been a symbol of criticism toward Jinping since he took power in 2013, but blew up following the announcement. This prompted Chinese censors to crack down on the meme on Chinese social-media apps. Why Winnie the Pooh? The joke is that Jinping supposedly resembles the Pooh bear in appearance. For instance, in the image below, the shorter, chubbier Pooh is walking alongside the taller, skinnier Tigger, which is compared to Jinping walking with former US president Obama. China banned Winnie the Pooh after Xi was compared to him ???? In another circulated image, Pooh is hugging a pot of honey. The image reads, “Wisdom of little bear Winnie the Pooh” in Chinese and “Find the thing you love and stick with it” in English. The Chinese social network Weibo even blocked all mentions of John Oliver and his HBO show “Last Week Tonight” last month after Oliver criticised Jinping. Oliver also said Jinping was insecure about the Winnie the Pooh images being used to mock him. “Christopher Robin” is now in theatres in the US.